Before Christmas we took a short trip to Dublin, which is one of our favourite cities to visit and always provides with some great ideas to take back to the kitchen. We try to visit Dublin at least once a year but this was our first time visiting the city so close to Christmas. It really is quite special at Christmas with areas like Grafton Street and O’Connell Street looking truly spectacular in the winter night sky. On this particular visit to Dublin, we decided to put on our tourist hats and see the city as if we were first time visitors. The only way to really do this and to see everything Dublin has to offer is to hop onto one of the guided Dublin bus tours, so that’s just what we did. Despite being mid December in Ireland, the weather was pretty kind to us as we enjoyed some mild weather and plenty of sunshine. This enabled us to go up top and enjoy the Dublin bus tour with an open top experience. This is something I would certainly recommend to anyone who is planning on visiting Ireland’s capital. The tour started in O’Connell Street and was only €16.50 per adult. This provided you with 2 days travelling on the bus and proved to be an extremely affordable and easy way to travel around the city. Find out more about the hop on hop off Dublin bus tour here – Dublin City Bus Tour. The Dublin bus tour takes you all across the city including the popular destinations of St. Stephens Green, Guinness Storehouse, Phoenix Park and Parnell Square. 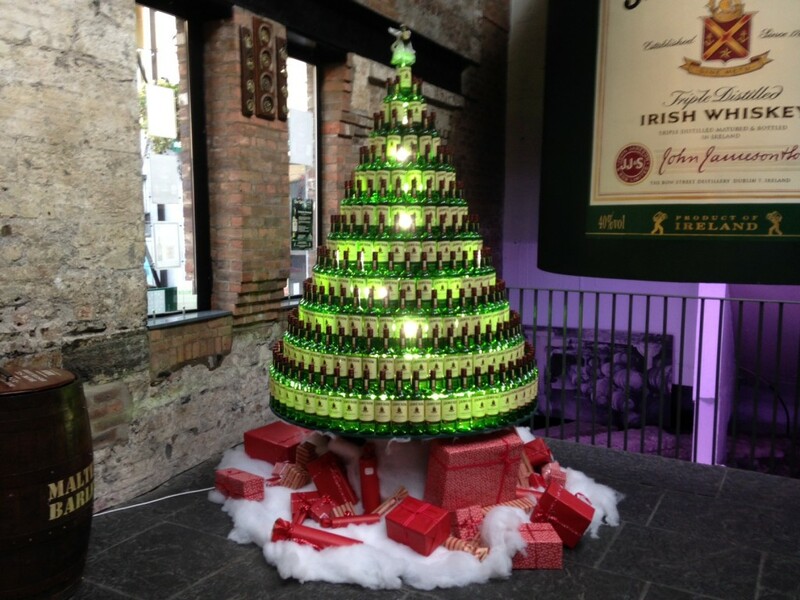 One of the last stops on the list (number 21 of 23) is the area of Smithfield which is home to the famous Jameson Distillery. The distillery is somewhere we both have always wanted to visit and although of us would confess to be whiskey fanatics, it was certainly an experience we will remember and we both managed to leave the tour with a new favourite drink – Jameson with ginger and lime. The tour was a guided tour which had it’s pros and cons because it would have been nice to walk around the distillery at your own leisure, however it was enjoyable to find out so much great information from the tour guide. We were taken through the processes of making the whiskey including the triple distillation process which makes Irish whiskies unique from both their Scottish and American counterparts. One of the most interesting parts of the tour was when we entered the barrel room where we found out about the different barrels used to store the whiskey and the ageing process that gives older whiskies that added depth of flavour. It’s easy to see why there are so many collectors out there for whiskies of this kind. It’s worth noting that the barrels used to store Jameson whiskey come from Spain and Portugal, with the sherry and port flavours adding to the great Jameson taste. When these barrels are no longer needed, they are sent off to the Caribbean to store rum. The guided tour finishes with a tasting session which we were both very much looking forward to. As neither of us are big whiskey drinkers, this was a good opportunity to get an even greater understanding of the tastes and flavours of whiskey and just what makes a triple distilled whiskey so popular. 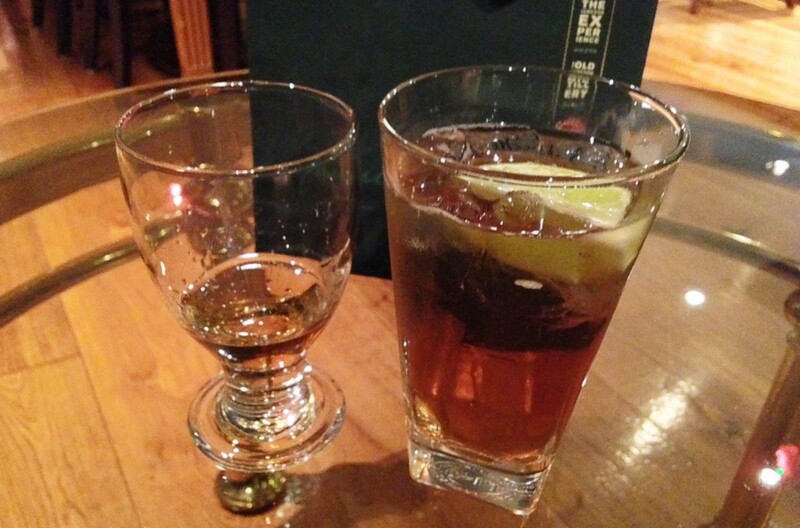 With a choice of Jameson neat (in a glass on it’s own), Jameson with ice or Jameson with ginger and lime. We opted for the neat and ginger option – neat was for Helen to match her obsessively organised nature around the home, and ginger, well; to match Nial’s hair and beard. We both enjoyed these samples and it was a nice way to finish the tour. Our final journey in the distillery, took us to the souvenir shop where we purchased sone Jameson flavoured marmalade which we knew would come in handy in the kitchen. 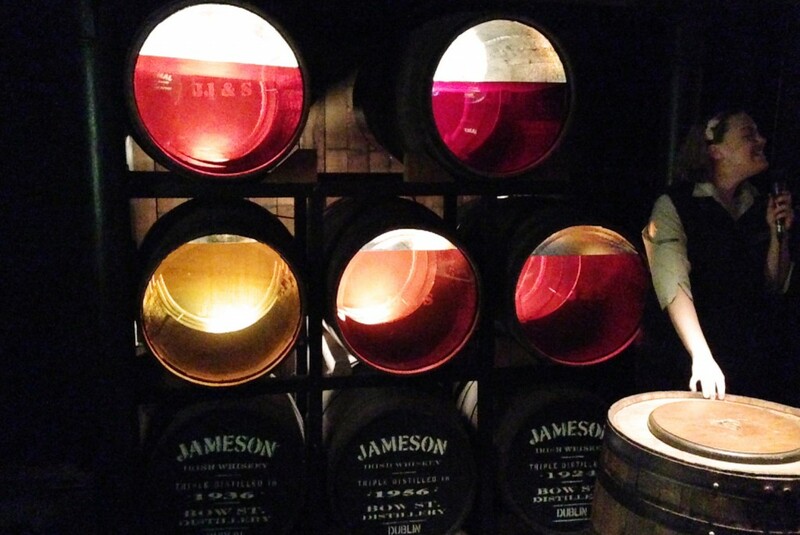 We look forward to sharing some Jameson inspired recipes with you in the coming months. The tour only lasted about 35 – 40 minutes and you get discount upon entry if part of the bus tour. We would certainly recommend it and if you are with a larger group, there is a stunning bar and fire area in which you can sit on and enjoy some Jameson cocktails, food and warm drinks. 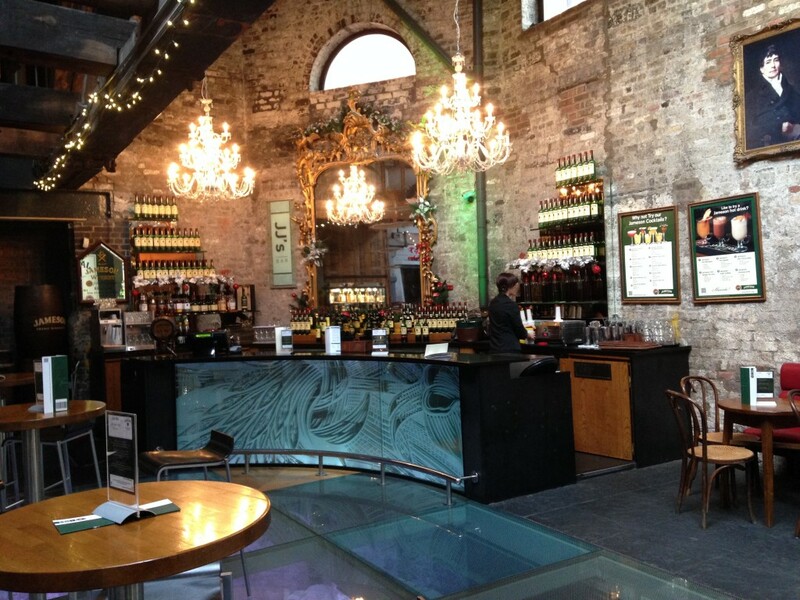 Have you ever been to the Jameson Distillery? We’d love to hear your thoughts on the distillery and the guided tour and also if it inspired you to make any Jameson recipes in your home. Comment below or share your story with us on Facebook and Twitter.